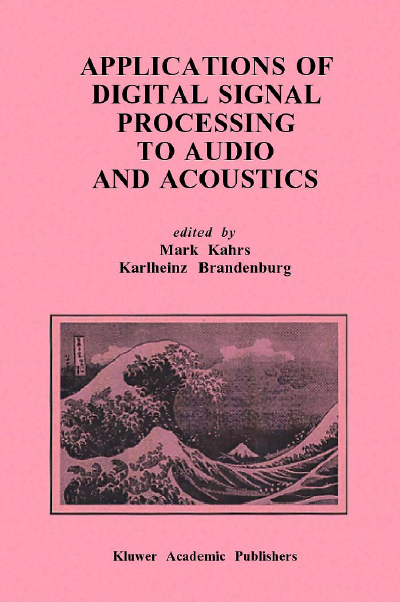 With the advent of `multimedia', digital signal processing (DSP) of sound has emerged from the shadow of bandwidth limited speech processing to become a research field of its own. 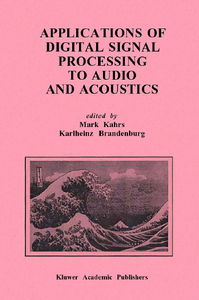 To date, most research in DSP applied to sound has been concentrated on speech, which is bandwidth limited to about 4 kilohertz. Speech processing is also limited by the low fidelity typically expected in the telephone network. Today, the main applications of audio DSP are high quality audio coding and the digital generation and manipulation of music signals. They share common research topics including perceptual measurement techniques and analysis/synthesis methods. Additional important topics are hearing aids using signal processing technology and hardware architectures for digital signal processing of audio. In all these areas the last decade has seen a significant amount of application-oriented research. The frequency range of wideband audio has an upper limit of 20 kilohertz and the resulting difference in frequency range and Signal to Noise Ratio (SNR) due to sample size must be taken into account when designing DSP algorithms. There are whole classes of algorithms that the speech community is not interested in pursuing or using. These algorithms and techniques are revealed in this book. This book is suitable for advanced level courses and serves as a valuable reference for researchers in the field. Interested and informed engineers will also find the book useful in their work.